It’s coming … the inevitable switch. Winter to spring wardrobe transfer! Now who comes first? Why of course the kids! All that time shopping and scavenging from store to store. Why not save some time and make some extra cash. You can swap that great designer clothing for new ones. 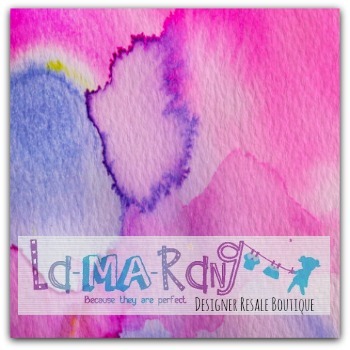 la-MA-rang is a Resale Boutique that is aspiring to cater to a growing population of thrifty women. Those who enjoy buying designer children wear without breaking the bank! You can shop our online Boutique knowing you will get great bargains on top quality designer wear. As an exclusive resale boutique, we love selling and purchasing a range of designers. Starting from the high quality found in Bonpoint to the trendy Moschino. But we are also all about the practicality found it labels such as IKKS, Marc Jacobs Junior and EGG baby. Now everyone can shop comfortably in that unique boutique atmosphere at an affordable rate. We pride ourselves on extensively inspecting our merchandise before preparing it for sale. Our customers can be confident that they are purchasing a great piece at an even better price. This entry was posted in Press and tagged Kids, shopping.